Former president John Dramani Mahama and his wife Lordina Mahama have marked 25 years of being married with a church service. The former first couple were joined by family members, friends and well-wishers. 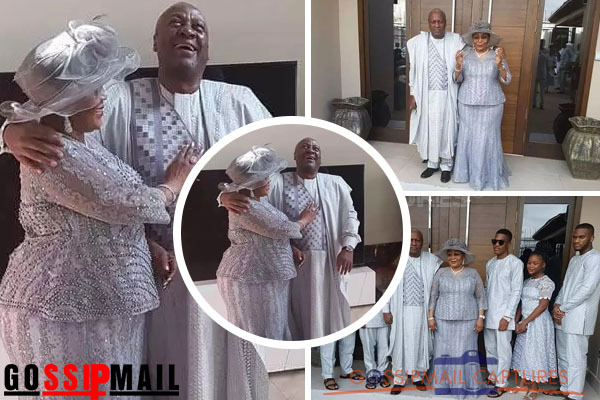 The former couple renewed their marital vows in Accra in the presence of many people including top party members of the National Democratic Congress. Notably among the attendees of the colorful event was Sam George, the Member of Parliament for Prampram. The former first family took lovely photos to commemorate the milestone. John Mahama is the immediate past president of Ghana. He was recently in Kenya to help with their elections.